Indian startup Ringing Bells has aroused curiosity by promising to launch a 251 rupees (US$4) smartphone, in the latest bid to take communications to the country's masses. The device has no pretensions. It has a 4-inch IPS display, a 3.2 megapixel rear camera, a 0.3 megapixel front camera and runs on a 1.3GHz quad-core processor with 1GB RAM and 8GB internal memory expandable up to 32GB with an SD card, according to the product website. The phones, which carry a warranty of one year, run Android Lollipop 5.1. There are concerns, however, that the measures taken to keep the device price down may put off customers already used to fully functioning smartphones. The new smartphone, called the Freedom 251, may perhaps be attractive to current users of feature phones, but a big issue for these users could be poor battery life, said Bryan Ma, vice president for devices research at IDC. The new Freedom 251 smartphone has a 1450 mAh battery, which is small for the device, and may not be good enough for feature-phone users who have grown accustomed to many days of battery life, Ma said. The smartphone's bill of materials may well be more than its price, according to analysts who speculate that the company may be using the $4 phone to build brand awareness and get publicity in order to later sell more sophisticated phones. If that is the objective of Ringing Bells, it has more than succeeded, as the new phone has attracted considerable attention in the Indian media. For those who have been around in India long enough, the launch of Freedom 251 is in a sense a rerun of the introduction in 2011 of the $35 Aakash tablet from DataWind. The project was born out of a contract from the Indian government to provide tablets to students in higher education. But the device turned out to be underpowered and sold about 135,000 units for a 13.5 percent share of India's lackluster tablet market in the second quarter of 2015, according to IDC. Meanwhile, the Freedom 251 has gotten attention but the jury is out on its market potential, Ma said. Beyond the technology, the vendor has to work out what would be the most relevant content and applications for the device, he added. Like most other devices designed for the masses, the Freedom 251 comes packaged with apps for users such as farmers and fishermen, in addition to well-known consumer apps such as Facebook and YouTube, all of which has been tried before without great success. 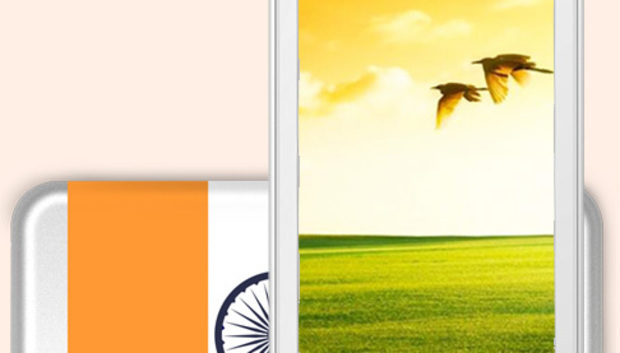 Ringing Bells said it will start booking orders for the phone from Thursday. Some news outlets that received the phone for review have pointed out that the built-in icons on the screen appear copied from those of Apple's iPhone.